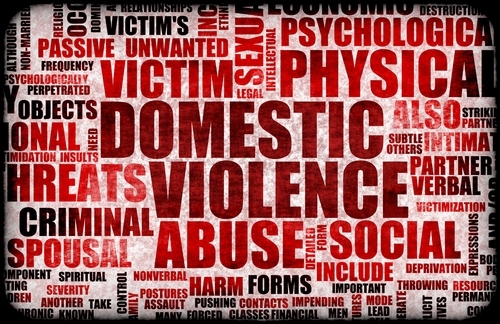 For many years there has been a myth that domestic violence among Jewish families was infrequent. However, there is much data demonstrating that domestic abuse is a significant and under-recognized behavior in Jewish communities in Israel and the Diaspora. 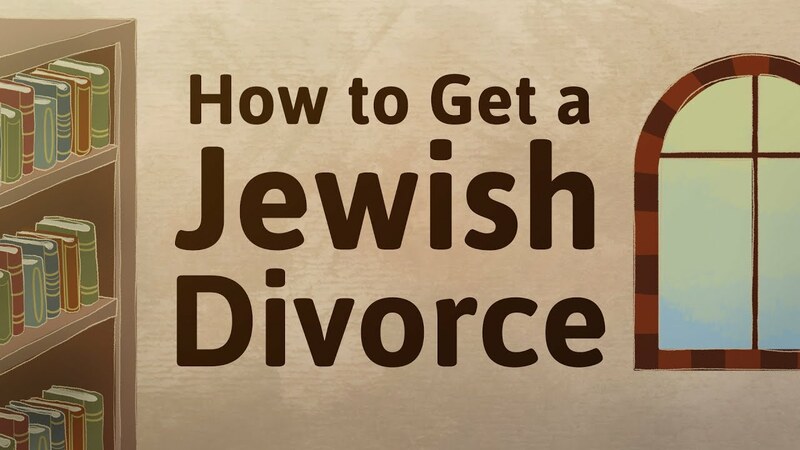 Jewish women typically take a longer time to leave abusive relationships for fear that they will lose their children and because they are aware of the difficulties in obtaining a get, a Jewish divorce document. In biblical times, acts of sexual assault and abuse against women were of concern to the degree that they violated male property rights. The Bible delineated the marriage relationship by calling the husband ba’al which implies both ownership and lordship (Ex. 21:28). Thus, for example,if a wife is physically harmed by someone, compensation is paid to her husband. The husband is not only the owner of his wife, he is also the owner of her pregnancy (Ex. 21:22). If a man’s “property rights” are violated, he is entitled to compensation. In Mishnaic and Talmudic literature there is no reference to battered women as a class, and the Talmud does not discuss wifebeating as a distinct category of corporeal damage. The one major allusion to wife beating in the Talmud is couched in a discussion about the unlearned lower class, the am ha-aretz (lit. “people of the land”). “It was taught, R. Meir used to say: Whoever marries his daughter to an am ha-aretzis as though he bound and laid her before a lion: just as a lion tears [his prey] and devours it and has no shame, so an am ha-aretz strikes [hits/beats] and cohabits and has no shame”(B. Pesahim 49b). Much of the discussion around beating of wives as “punishment” occurs in the context of the grounds for a divorce. Immodest behavior considered worthy of punishment includes “going out with uncovered head, spinning wool with uncovered arms in the street, conversing with every man.” The list of women deemed worthy of being divorced without receiving their ketubah, (“divorce compensation”), includes the following case: “Abba Saul said: Also that of a wife who curses her husband’s parents in his presence [and in his children’s presence]. R. Tarfon said: also one who screams.” (B. Ketubbot 72a). Although beating is not allowed or even suggested in the case of the screamer, the woman who curses will in later rabbinic texts be repeatedly used as an example of where beating is a justified means to an end. The most useful source in the study of wife beating is the vast collection of Responsa literature, which includes rabbinic rulings (responses) to specific questions. These responsa date back to the period of the Geonim (7th-10th century C.E.) and continue to be written today. There are a variety of attitudes towards domestic violence found in these texts. Some decisors declare it unlawful, while others justify it under certain circumstances. Gratuitous abuse, striking a wife without a reason, is forbidden by all. However, the attitude of rabbinic sources toward perceived “bad wives” is ambivalent, and wife beating is occasionally sanctioned if it is for the purpose of chastisement or education. A “bad wife” is one who does not perform the duties required of her by Jewish law, who behaves immodestly, or who curses her parents, husband, or in-laws. Rabbis regularly advised men to restrict their wives to the home and be responsible for educating them (e.g. Tsemach Gaon of. Eretz Yisrael (884-915), Solomon B. Abraham Aderet (11235-1310), Maimonides (1135-1204). Thus the husband is given a great amount of latitude in educating his wife. The rabbis who justify beating see it as part of the overall “duties” of a husband to chastise his wife for educational purposes (e.g. Maimonides, Israel Isserlein (c. 1390-1460), David b. Solomon Ibn Avi Zimra (Cairo, 1479-1573), Solomon Luria (c. 1510-1574). Jewish texts are not monolithic about wifebeating, but some medieval authorities do allow it. Tzemah ben Paltoi, Gaon of Pumbedita (872–890), permitted a man to flog his wife if she was guilty of assault. Rabbi Yehudai b. Nahman (Yehudai Gaon, 757–761) wrote that: “…when her husband enters the house, she must rise and cannot sit down until he sits, and she should never raise her voice against her husband. Even if he hits her she has to remain silent, because that is how chaste women behave” (Otzar ha-Ge’onim, Ketubbot 169–170). The ninth-century Gaon of Sura, Sar Shalom b. Boaz (d. c. 859 or 864), distinguished between an assault on a woman by her husband and an assault on her by a stranger. The Gaon of Sura’s opinion was that the husband’s assault on his wife should be judged less severely, since the husband had authority over his wife (Otzar ha-Ge’onim, Bava Kamma, 62:198). In his Mishneh Torah, Moses Maimonides (1135–1204) recommended beating a bad wife as an acceptable form of discipline: “A wife who refuses to perform any kind of work that she is obligated to do, may be compelled to perform it, even by scourging her with a rod” (Ishut 21:10). The responsa of R. Solomon b. Abraham Aderet (Rashba, 1235–1310), includes examples of husbands who occasionally or habitually use force; few of these men are brought to court for beating a wife in a moment of anger. However, there are instances in Rashba’s responsa of wives who considered the rabbis as allies against violent husbands (Aderet, V 264; VII, 477; VIII, 102; IV, 113). The responsa from twelfth and thirteenth France and Germanyreflect a Jewish society in which women held high social and economic status and therefore most reject wife beating without any qualifications. This attitude is reflected in a proposed takkanah (regulation supplementing the Talmudic halakhah) of R. Peretz b. Elijah who believed that “one who beats his wife is in the same category as one who beats a stranger;” he decreed that “any Jew may be compelled on application of his wife or one of her near relatives to undertake by a herem not to beat his wife in anger or cruelty so as to disgrace her, for that is against Jewish practice.” If the husband refused to obey, the court could assign her maintenance according to her station and according to the custom of the place where she dwells. It is not clear whether this takkanah ever received serious consideration. Some Ashkenazi rabbis considered battering as grounds for forcing a man to give a get. Rabbi Meir b. Baruch of Rothenburg (Maharam, c.1215–1293) and R. Simhah b. Samuel of Speyer (d. 1225–1230) wrote that a man has to honor his wife more than himself and that is why his wife and not his fellow man should be his greater concern. R. Simhah argued that like Eve, “the mother of all living” (Gen. 3:20), a wife is given to a man for living, not for suffering. She trusts him and thus it is worse if he hits her than if he hits a stranger. R. Simhah lists all the possible sanctions. If these are of no avail, he not only recommends a compelled divorce, but allows one that is forced on the husband by gentile authorities. This is highly unusual since rabbis (even today) rarely endorse forcing a man to divorce his wife and it is even rarer to suggest that the non-Jewish community adjudicate internal Jewish affairs. Although many Ashkenazi rabbis quoted his opinions with approval, they were overturned by most authorities in later generations, starting with R. Israel b. Petahiah Isserlein (1390–1460) and R. David b. Solomon Ibn Abi Zimra (Radbaz, 1479–1573). In his responsum, Radbaz wrote that R. Simhah “exaggerated on the measures to be taken when writing that [the wifebeater] should be forced by non-Jews (akum) to divorce his wife … because [if she remarries] this could result in the offspring [of the illegal marriage, according to Radbaz] being declared illegitimate (mamzer)” (part 4, 157). Sixteenth century responsa seem to acknowledge that wife-beating is wrong, yet they avoid releasing the woman from a bad marriage. These evasive positions vis-à-vis relief for a beaten wife are part of halakhah and rest on the husband’s dominant position in marriage. This is the major halakhic stance today. Domestic abuse is not automatic grounds for Jewish divorce. An abused woman whose husband refuses to give her a divorce is considered an agunah, a chained or anchored woman. Thus, although in modern times there are almost no rabbinic authorities who justify wifebeating for the purpose of education, there are many who still do not allow a forced divorce to free the victim of wifebeating. Because of the hardships imposed on women by this reluctance, there has been some talk of reviving a takkanah procedure such as R. Peretz (thirteenth century) suggested. However, as of today rabbinic authorities do not yet make use of this creative halakhic tool.